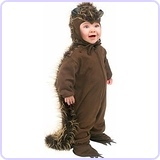 My daughter loves porcupines and hedgehogs. 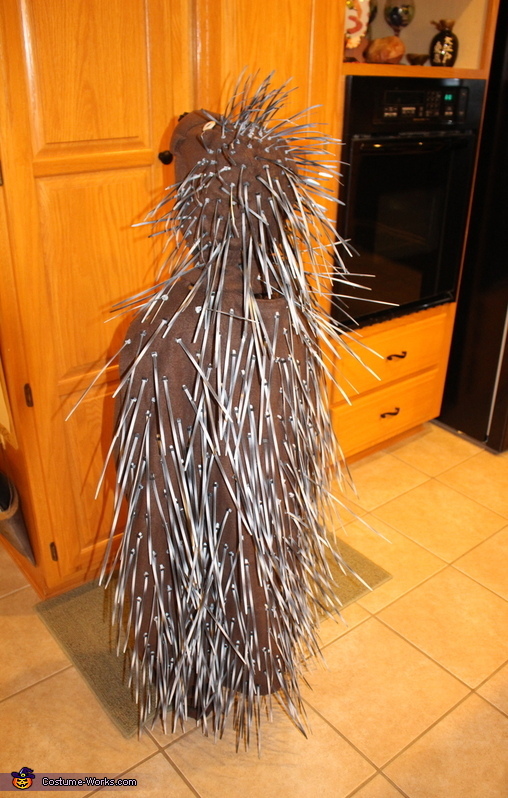 So, this year for Halloween, she wanted to be a porcupine. 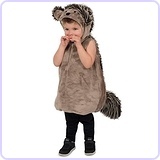 I started with a pattern that I had for a dragon costume and then modified it by removing the tail and wings, changing the ears, making a new nose, adding button eyes, making my own shoe covers, and making a cape for the quills. I made the cape so that it is draped over the shoulders and attached with heavy duty snaps just below the shoulders. That allows it to be removed in case she wants to sit and it also makes the quills appear to cover the entire back of the body. The head, body, cape, and shoe covers are made out of fleece. The quills are black zip ties that we spray painted white stripes on them. The zip ties were attached by using a seam ripper. 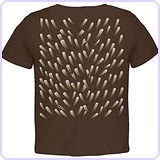 Each quill required two holes so that the zip tie could loop through the fabric and then attach on the outside. I started with 5" quills at the top of the head and then gradually changed to 8" quills. Then for the cape, I started with 8" quills at the shoulders, moved to 11" quills for the majority of the back, and then ended with 8" quills at the bottom so that they wouldn't drag on the ground. Danni--approximately how many zip ties did you buy?? ?